For anyone who’s grown up on rock music, no matter how sophisticated taste may grow, it’s likely there’s a fondness that survives for a heavy guitar riff based on the blues. The kind of thing that made Jimi Hendrix, Led Zeppelin, Blue Cheer, and Thin Lizzy such enduring icons of rock. Bergen’s Howlin’ Sun are firmly in this tradition, with guitarist Magnus Gullachsen dishing out track after track of fuzz-drenched riffs untainted by the post-70s sounds of NWOBHM or Hair Metal. His solos scream in a Jimmy Page way, avoiding the flashy techniques of later eras of rock, as well as fancy effects devices. Lead vocals are handled by Tor-Erik Bjelde, who has a classic hard rock voice reminiscent of Robert Plant. He’s got the right amount of swagger to pull this kind of thing off, screaming and wailing expressively. Torgrin Nåmdal’s bass parts are busy when there’s a space to fill, simple when the riff needs emphasis, and always perfectly suited to the song. The last factor is drummer Pieter Ten Napel, who luckily doesn’t simply emulate John Bonham, instead bringing a somewhat subtler touch to the music, not quite jazzy, but in a style reminiscent of many players of the late 60s and early 70s. Although there aren’t any acoustic numbers, several tracks feature clean guitar tones, calling to mind once again Led Zeppelin, in such tunes as “The Rain Song.” There are even a few places where other instruments appear, such as the heavy organ on “Hitchhiker of Love.” On the less positive side, some of the lyrics are somewhat cliched, dealing with stock rock ‘n’ roll subjects, but to be fair, that’s part of the idiom, so it’s not a big minus. 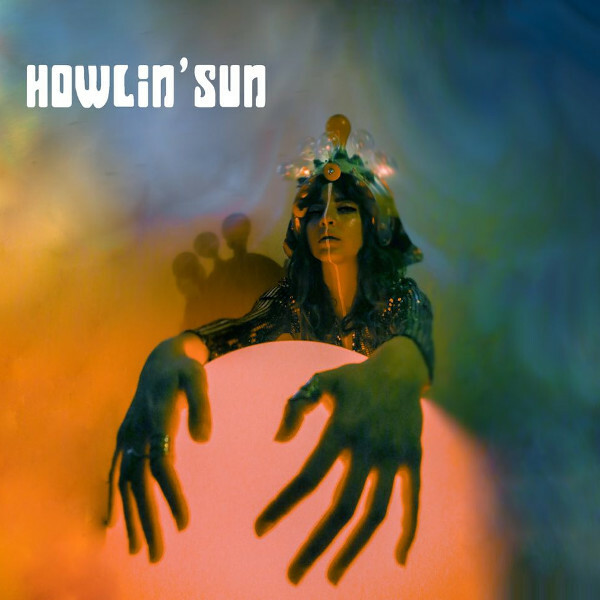 Howlin’ Sun are an unapologetic throwback to the days of big riffs, fuzzed-up blues, and presenting uncomplicated music with skill. And they do a bang-up job of it, joining the ranks of other quality modern bands killing it old school: Rotor, Blues Pills, Kingston Wall, and the like.